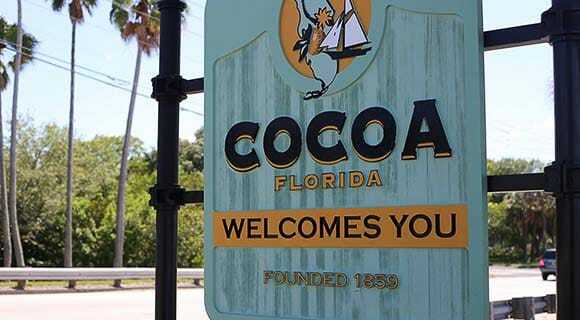 The City of Cocoa Fleet Management Division increases operational efficiency and visibility of their 400-vehicle municipal fleet with Samsara's fleet management platform. The City of Cocoa Fleet Management Division (Cocoa Fleet Team) provides safe, reliable vehicles to support the city's operations in a cost-effective manner. It covers various types of vehicles - from vans, heavy duty trucks, police vehicles, fire vehicles, street sweepers, and more, spanning 20 department and divisions and three different funds. In addition, the team operates vehicles for the city’s water distribution center, which serves water to 300,000 customers across central Florida. Ultimately, it’s up to the team to ensure that all vehicles and personnel operate efficiently and safely. Prior to Samsara, the Cocoa Fleet Team used an offline GPS system, which only provided telematics data when vehicles refueled. The team knew there had to be a faster way to get this data. Upon discovering Samsara, the team tried it and other GPS tracking solutions. 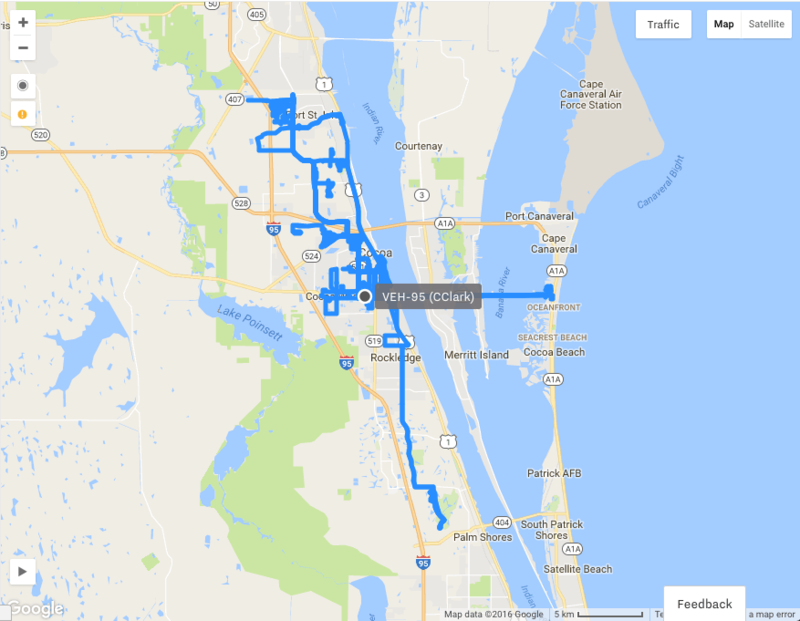 They required scheduled reports, geofencing, real-time vehicle location, and the ability to link drivers to vehicles. "We put Samsara vehicle gateways in four of our utility line vehicles. After just a couple days we were totally sold on the product; Samsara was hands-down a better unit and the best bang for the buck," Tony Jones, the Fleet Manager, explained. Soon Jones' team installed Samsara gateways across multiple city fleets, including streets & grounds, water operations, IT, community service, and meter reading. "Setup was easy - hardware install only took 18 minutes per vehicle." Now the Cocoa Fleet Team and the directors of each city district have real-time visibility of their vehicles and operators. "We've become 'fleet aware' - we know how, when, and where our fleet is functioning and use the information to improve our operations." 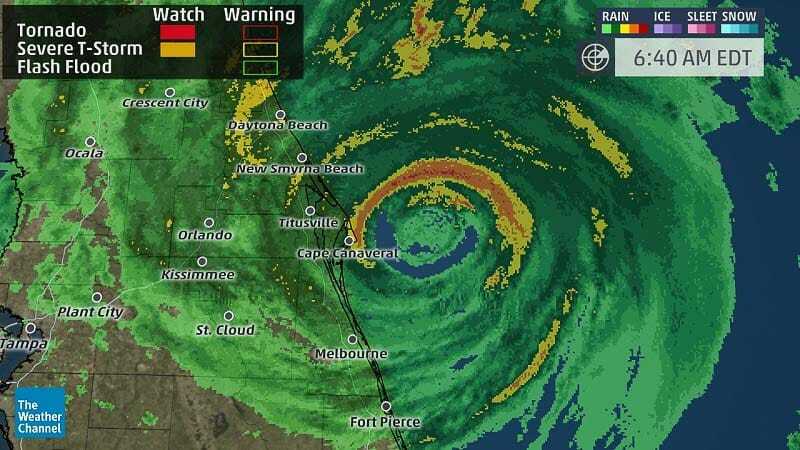 Hurricane Matthew first caused the team to put Samsara through its paces. After a wave of destruction through the Caribbean, the hurricane pivoted north, approaching Cocoa with 100 mile per hour winds. The community development team prepared for the storm, readying damage assessment vehicles. After the storm passed, the assessors began canvassing the city, scanning for and recording damage. The community development director tracked progress using Samsara to ensure that every street was assessed. "We could see exactly which area had been covered and which ones we had left. With Samsara we could ensure we didn't miss any spots." The city's operations include a water distribution center that serves water to 300,000 customers throughout central Florida. It uses 200 vehicles to read water meters, connect and disconnect service, and test water quality. With so many meters to check, the team is constantly looking for ways to route meter readers more efficiently. The division director uses Samsara to analyze routes of meter readers. They see all the routes in real-time, and identify and eliminate redundant, overlapping routes. Jessica, the city's Utility Customer Service Manager, uses Samsara to better respond to customer inquiries. 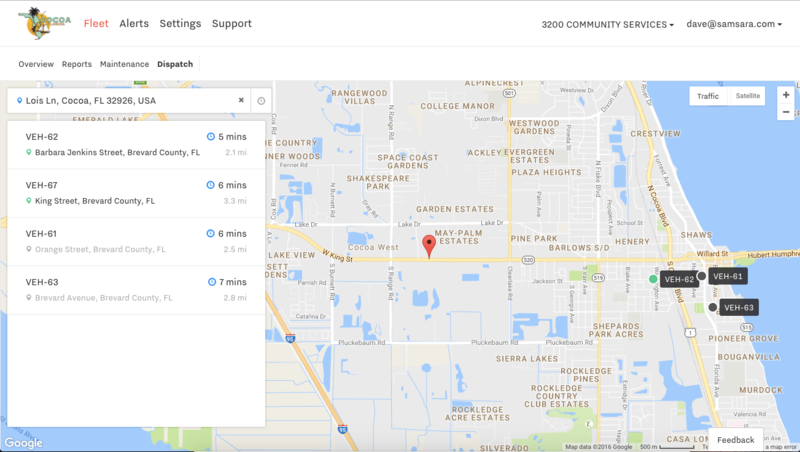 Whether a customer is calling about a power outage or a low water pressure, Jessica uses Samsara's dispatch tool to find the nearest driver (even factoring in live traffic). If Jessica gets a complaint about a speeding city vehicle, she can determine if it actually was one of the city's vehicles, and if so, communicate with the driver about improving their safety. While the team is using Samsara to make real-time decisions, the city's managers rely on Samsara for historical reports and analytics. In the stormwater division, the director wants to know how much debris is picked up by the street sweepers. The assistant city manager wants utilization data across the fleet. The team provides the city managers with read-only access to the dashboard so that they can see the reports they need, and even schedule email summaries. Managing a fleet of 400 vehicles across so many divisions is a big task, and the Cocoa Fleet Team heavily relies on Samsara as their information source. They have big plans to further integrate Samsara into the fleet, including adding vehicle gateways to police vehicles, monitoring street sweeper brushes, and saving cost by utilizing Samsara’s included WiFi hotspot and eliminating wireless data contracts. "We and our citizens are now more aware of our vehicle use. If you’re a fleet manager, you need to take a serious look at Samsara."